Roger is a Fellow of the Chartered Institute of Marketing with a proven track record of delivering consistent sales results by building long term beneficial relationships with both customers and staff. He ran a successful IT solutions, software and support business for 25 years before moving to the charity sector to use his skills and marketing expertise to help others. A skilled marketer with an innate understanding of customer needs who leads and empowers others to make a difference in their organization. 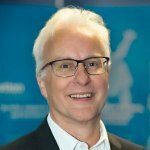 Committed to supporting the third sector, Roger spent the past 2 years at senior level with one of the UK’s leading charities and social enterprises. He has a passion for professional marketing and technology and their contribution to a socially aware, profitable and forward looking organization. Sales coaching, relationship building and networking techniques.